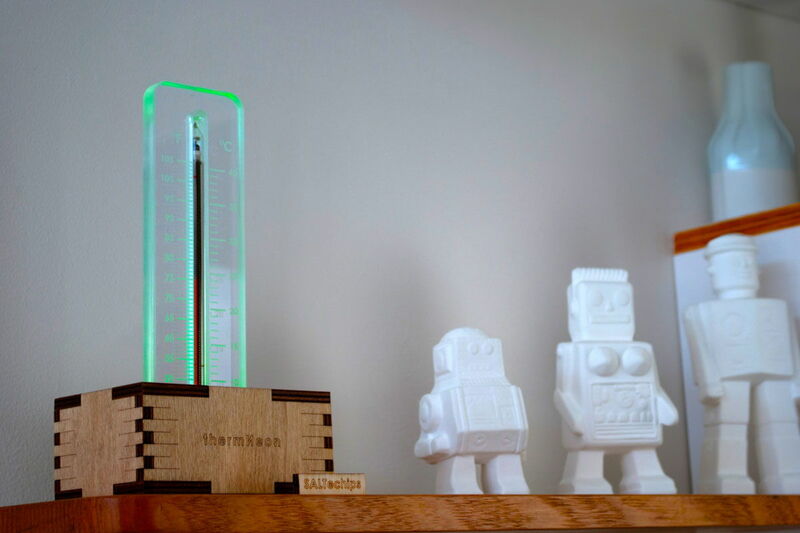 More than a unique thermometer, a piece of history in your living room. Experience warm nostalgic glow of cold-war era neon technology, fused with modern microprocessors in a masterpiece proudly handcrafted in the UK and Australia. The tube at the heart of the thermNeon has been out of production for over 20 years. It preceded the era of LED and LCD displays, growing next to the thermionic tube. It is now a piece of electronic display technology history, dating back to 1955. 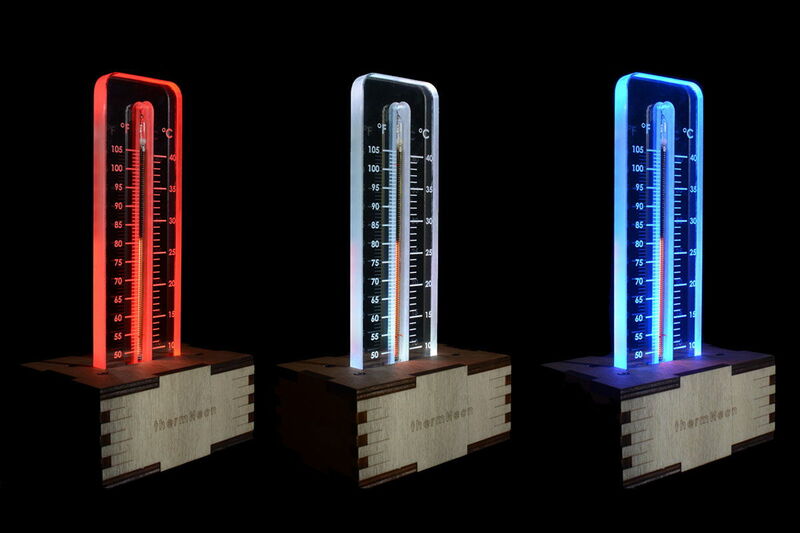 The ИН-13, or IN-13, cold-cathode gas-discharge tube shares the mesmerising neon glow of its numerical cousins, the strictly called ‘nixie’ tube. We have developed a non-static display method, achieving exceptionally long tube life. The laser-engraved scale is illuminated according to the current temperature and user preferences, like your favourite colours! 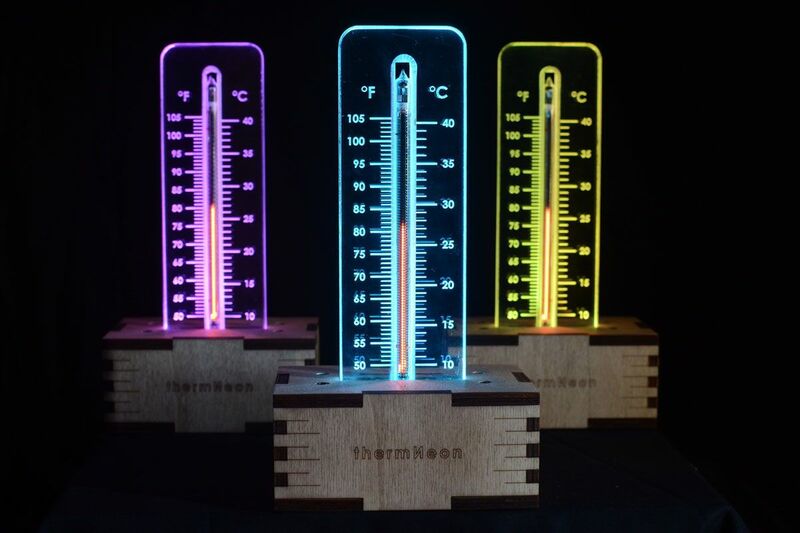 Unlike thermometers based on numerical indicators, the thermNeon uses a glowing neon bar resembling old mercury or alcohol thermometers, only better. 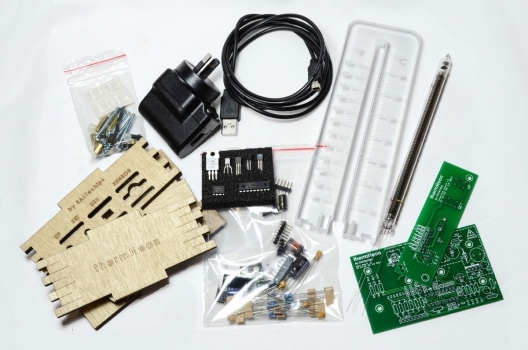 Take pleasure in assembling your own thermNeon with our DIY kit option, complete with step by step and easy to follow assembly and test instructions. The thermNeon, made by you. The software of the themNeon is licensed under the GNU General Public License (GPL) version 3, as published by the Free Software Foundation.